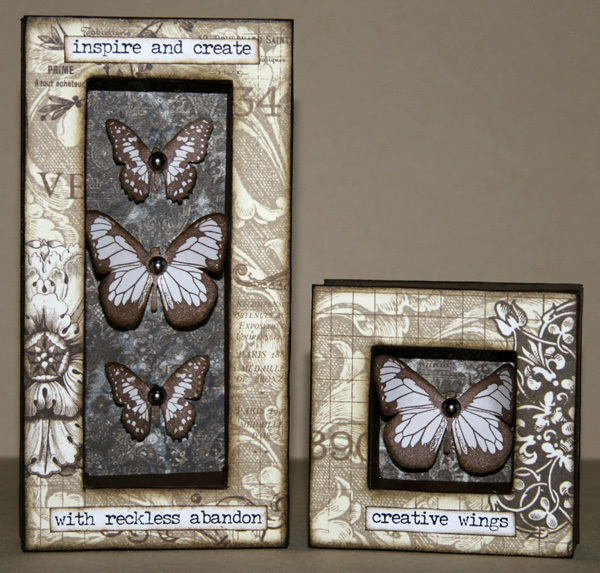 My Creative Existence: Art Boxes! 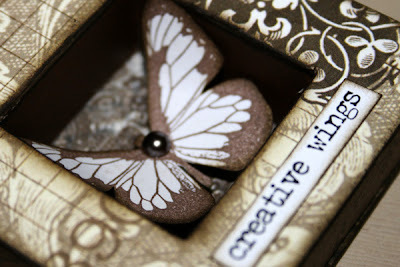 We used gorgeous products from Collections Elements including chipboard art boxes, patterned papers, "Artistic Expressions" (the printed words) and a very cute little sanding tool. 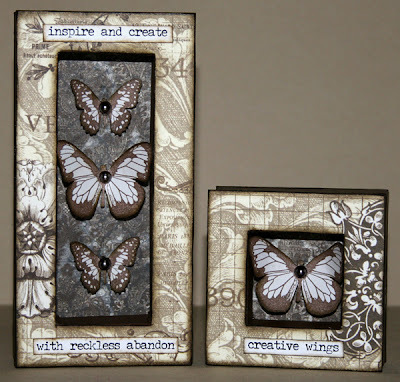 The butterflies are from the Darkroom Door Butterflies stamp set. They were stamped, cut out, attached inside the boxes and a Kasiercraft Pearl was placed in the centre. A cute little project to make for yourself or to give to someone as a gift! Very pretty - what a fun project!